This original and nerdy decorative wall sticker is perfect for the office or workplace, adding a touch of humour to any wall! 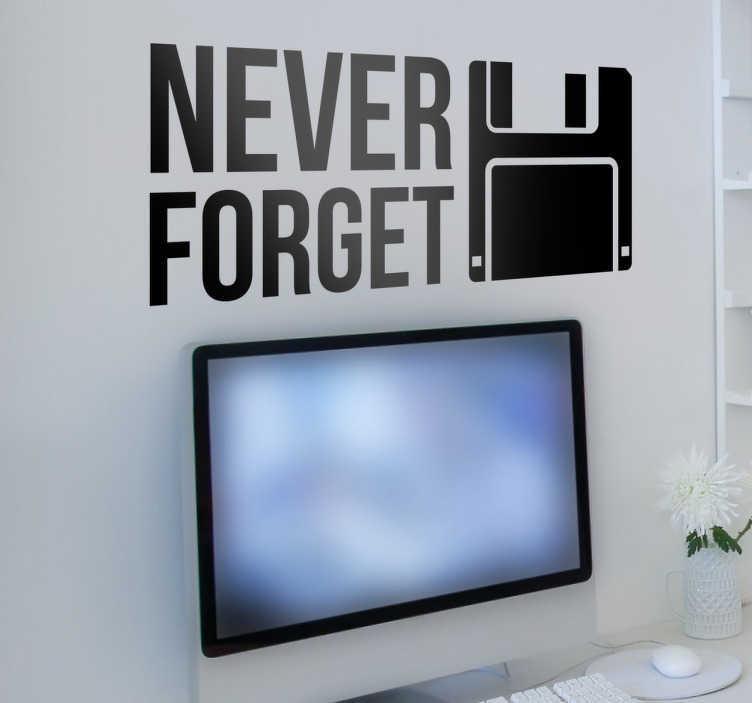 Featuring a stylish monochrome design of a floppy disk and the text "never forget", this sticker resonates with nerds everywhere! As easy to apply as it is to remove and leaving absolutely no residue upon removal, this vinyl is available in a wide variety of different sizes!